Watch out world, there’s another new streaming video service in town. Stage, a service devoted to the world of live theater, went live on Monday. The company says it is still in “previews,” to borrow a term from the theater world. In October, the platform will hold its “opening night,” where it starts to offer full subscriptions. While Stage will showcase some theatrical productions, much of its content efforts are on original series and documentaries. Launch programs include a talk show, “Crossovers,” with the pilot episode seeing actor Taye Diggs interview actress Leslie Uggams. A pair of scripted comedies, “Waaay Off Broadway” and the Australian comedy “The Divorce” are available, and later in the year the music-focused “Studio Sessions” will debut, featuring theater performers singing some of their iconic songs for a live studio audience. Perhaps the most ambitious project in development is a reality competition show: “The Next Great American Musical.” Teams will compete to develop a musical concept, with judges pulled from Broadway. The winning team will see their concept developed into a bona-fide Broadway musical. It’s a concept that Affannato believes has broad appeal. While Stage will launch a premium subscription offering in October, Affannato says that the service will also feature both advertising and sponsorships, on both consumer platforms like YouTube, and on its own platform. Launching a new OTT service from scratch has many challenges, not least of which is marketing. How do consumers know that you exist? 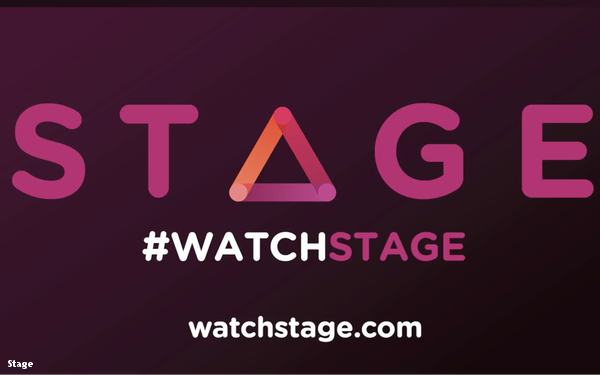 Stage’s strategy at launch is to use the tried and true methods of social media, as well as YouTube, where clips or even select full episodes could be published, driving people to the brand. The company also benefits from its relationship to Broadway performers, many of whom have large social followings, and will use that reach to mention the service. While Stage is intended to be a business in its own right, the founders also have a loftier goal in mind: to get younger consumers to attend more live shows. “If we want to bring new audiences to the theater, A: we need to go to them, to where they are, and B: by introducing people to the world of theater, the lifestyle of theater so to speak, that could be an interesting gateway to getting people to a live show,” Affannato says.